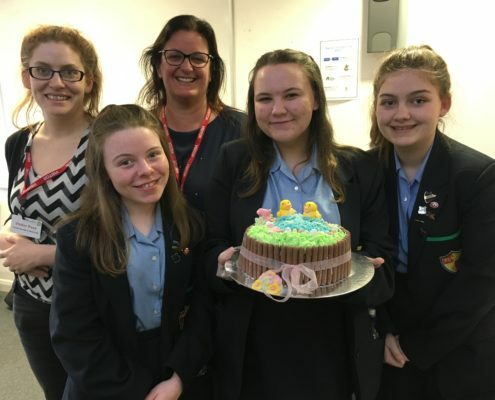 Secondary school pupils rose to the occasion when competing in a Junior Cake-Off competition run by Reaseheath College in Nantwich. 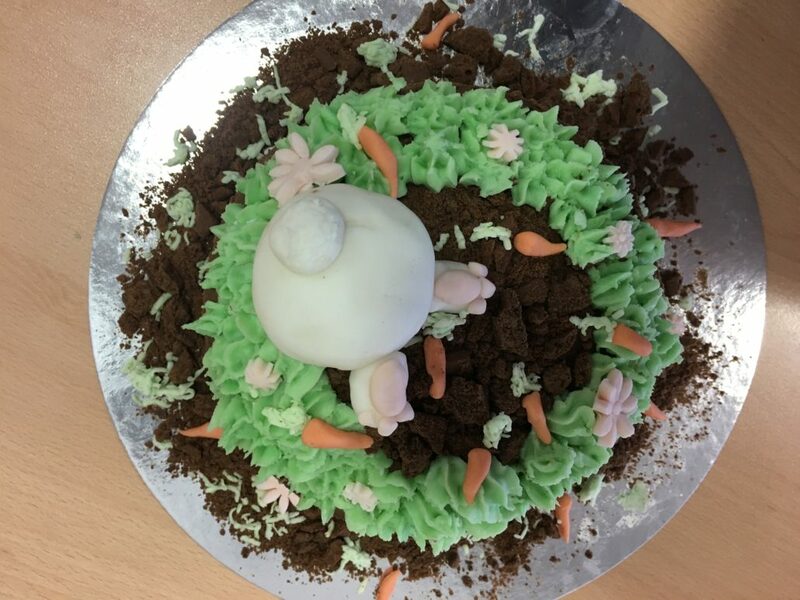 Teams from schools across the region were challenged to bake and decorate a cake with a Spring theme which showcased their skills with sugar paste and buttercream. 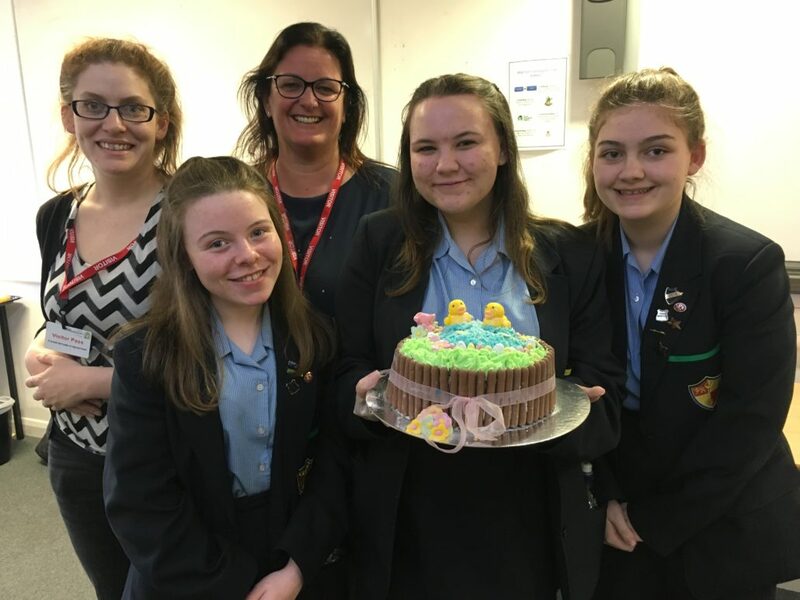 Twenty-one finalists from Years 9 and 10 brought nine cakes to the table, with themes ranging from Easter bunnies and chicks to bumble bees and flowers. The young bakers brought in their pre-baked cakes and had two hours to create their masterpieces in the industry standard bakery at Reaseheath’s Food Centre. The competition was judged by professionals Carol McFarland of Sugar and Crumbs, a cake decorating supplier, and Natalie Parker from Immaculate Confections, an award winning wedding cake specialist. 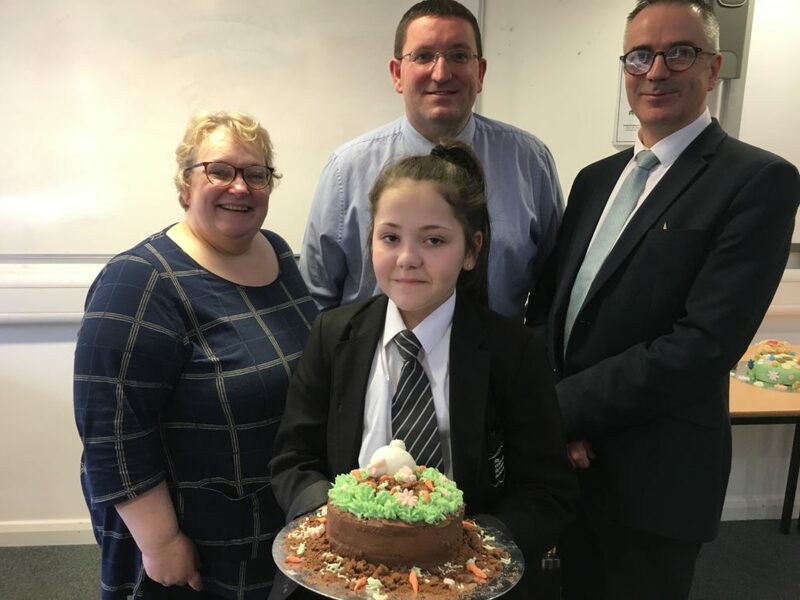 Winner of the close run competition was Krystal, a Year 9 pupil at Sir William Stanier School in Crewe, with an artistic design of a rabbit digging a burrow. She was awarded a £100 voucher for herself and two iPads for her school. 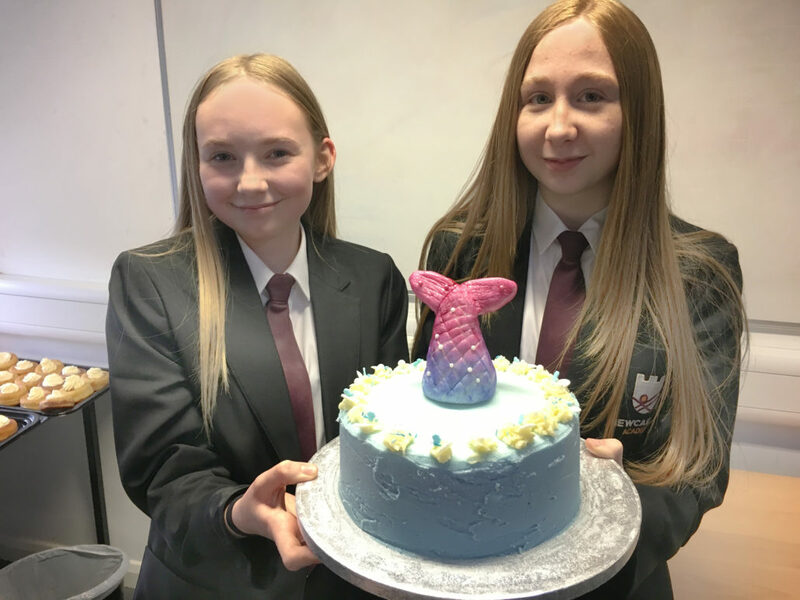 Second place went to Lily, Georgia and Louisa, Year 10 pupils from Prenton High School, Wirral, who shared a £75 voucher for their cake featuring two ducklings. 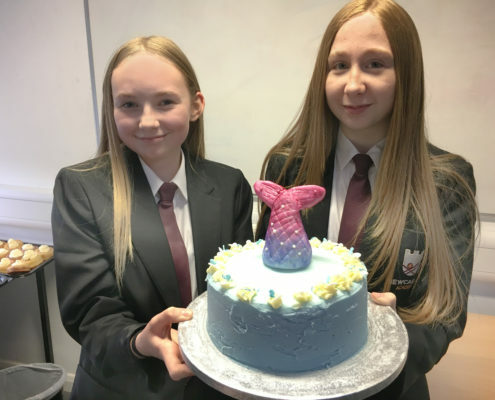 Emily and Cara, Year 9 pupils at Newcastle Academy, took third place and a £50 voucher for their blue unicorn cake. 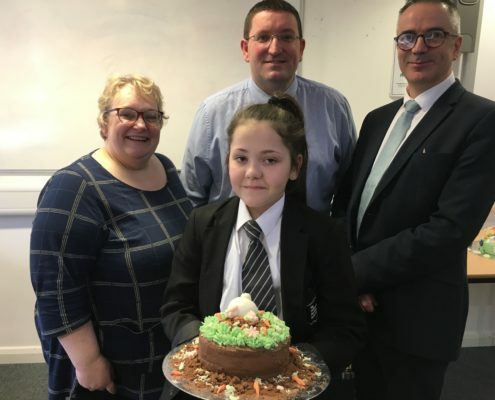 All schools had previously submitted photos and a product list of their entries and the most innovative were selected by Reaseheath experts to compete in the finals. Head of Reaseheath’s Food department Nick Blakemore said: “Congratulations to all the young bakers who have taken part. The cakes have been fantastic and I have been blown away at the standard and quality of the entries.